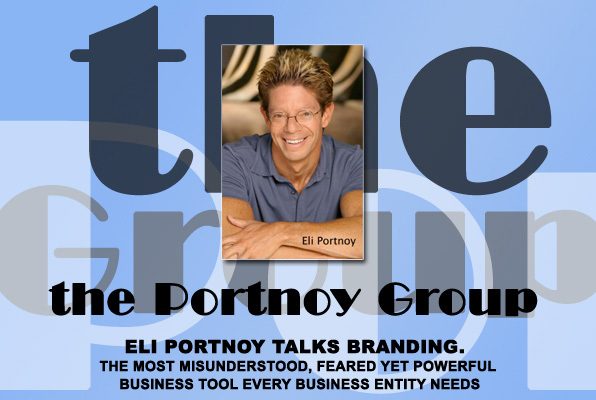 Eli Portnoy is Chief Brand Strategist for the Portnoy group, Brand Architecture. Educated at the prestigious University of Chicago’s Graduate School of Business, and a former executive with the Gillette Co., Clairol, and Hard Rock Café, he is the author of “Let the Seller Beware, The Consumers’ Complete Guide to Getting Your Money’s Worth”, Collier, 1990 and a contributor to CNN, NPR and major media sources around the US. Mr. Portnoy’s clients have included Lionel Richie, Disney, The New York Times Corp, Tribune Companies, Planet Hollywood, Darden Restaurants, EDS Credit Union, Neutrogena, Tiffany’s, Federated Dept Stores, Go2Orlando.com, United Way and The Orlando Magic. Mr. Portnoy uses an interactive anecdotal format for all his sessions designed to enlighten, educate and entertain his audiences. To help companies clarify who they are, what they stand for and create compelling points of differentiation for their businesses. To empower company employees / stakeholders to genuinely “live” their brand. After years focusing on external consumer brand building, companies now need to create internal branding initiatives targeted to employees to ensure long-term consumer loyalty and sales success. Mr. Portnoy illustrates how companies like Wal-Mart and McDonalds are suffering from this problem and what’s behind the success of companies like JetBlue and Apple. “We have great customer service”! Portnoy shows how this is the most over-promised and under-delivered business element promoted by companies today, and why companies should consider NOT promoting customer service as a key brand building business asset. Filling Pot-holes: Addressing consumer complaints the fast-track to losing customers. Businesses focus on their weaknesses relative to competition. Portnoy calls this “filling pot-holes”…the never-ending task that has no end in sight. Portnoy explains why this brand building business strategy driven by customer market research and competitive market studies has become one of the worst paths a company can follow as it “takes the eye off the prize”. It is increasingly difficult and costly for companies to maintain competitive differentiation in today’s high technology / instant information access world. Exploration of uniqueness and points of differentiation across industries and disciplines and thinking beyond current competitive frameworks will lead to ownable, compelling points of distinction that are profitable for the long term. Portnoy shares examples including Starbucks, Cirque du Soleil, Southwest Airlines, and Curves Fitness. Anyone in business from entry-level customer service agents to CMO’s and CEO’s. Mr. Portnoy’s programs deliver valuable immediately usable information that any participant can understand and incorporate into (and enhance) their daily job responsibilities.